First German omnibus edition, first printing. Last page (1531) is unnumbered. 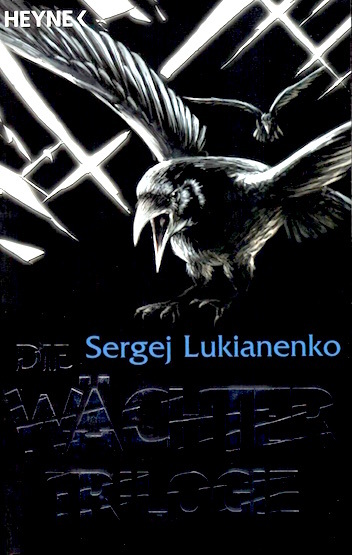 The novel Wächter des Tages (Дневной Дозор) is credited only to Sergej Lukianenko (Сергей Лукьяненко), Wladimir Wassiljew (Владимир Васильев) is not credited as a co-author. Cover design by Animagic, Bielefeld. Publication month from Amazon.de as of 2018-03-19.